I squealed out loud and clapped my hands when I read our neighborhood newsletter and learned 200 tons (TONS!) 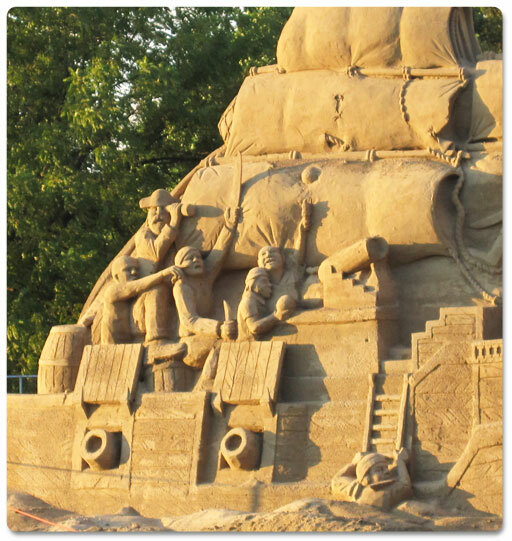 of sand were going to be dumped in our park so that sand artists could build a pirate ship. 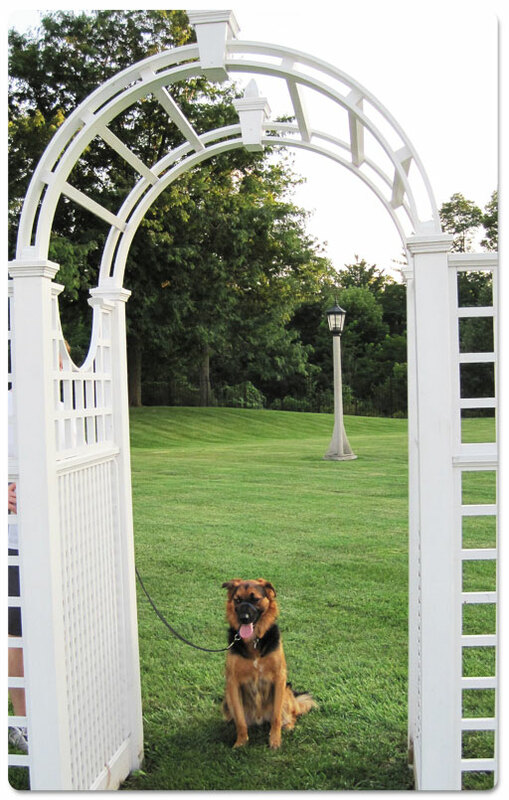 Regan, Jack and I have watched the progress on our nightly walks over the last month and now believe the installation is complete. I don’t know what will become of it, but hope it’s preserved for just a little longer. I can’t imagine being the guys who created this — moving on to something else, just letting this awesome thing fade away with each rainfall. But I guess sand artists are more about the process than the longevity of the work. I could benefit from some of that passion for the process … any process at all. Here’s a picture I snagged while walking in the park this evening. Pretty amazing stuff. Since I already had the camera out, we made Jack pose for a senior picture. It was hard to get him going after stopping to rest. He would spend hours lolling on the grass in the park if he could. It’s filled with the scent of all those other dogs he so desperately wants to meet.